Well, I’ve finished The Lord of the Rings series. It was a good ride, but this series just wasn’t for me. Most people absolutely love these books, the movies, and the story in general, and that’s great. But I couldn’t really get into it. There’s nothing inappropriate (except orc killing and whatnot) so I’ll definitely put it on my classroom shelves. The reading level says 9th grade, but there are hundreds of words I didn’t know and that my dictionary didn’t know either. It’s a difficult read. Not until about a quarter of the way through this book did I realize how to read this series: skip all the crazy names and places. Don’t even try to remember who those random people are or where those places are located. Not important. I was spending way too much time beating myself up about not understanding made-up words for people and places. I suppose I just committed LOTR heresy or something. 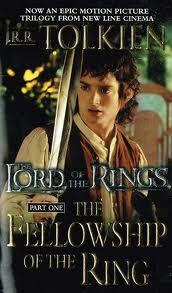 In my review of The Fellowship of the Ring, I whined a bit about the lack of women. There are some awesome women in the series as it goes on, but Eowyn was the awesomest. Or so I thought. She went into battle against her father’s wishes, killed an evil thingy, refused to sit idle, put Faramir in his place…and then became all submissive. Whaaat?! Allow me to explain. Then Eoywn is AWESOME and says, “Alas, not me, lord! Shadow lies on me still. Look not to me for healing! I am a shieldmaiden and my hand is ungentle. But I thank you for this at least, that I need not keep to my chamber…” And then she walks away. I’m finally getting around to reading The Lord of the Rings trilogy, beginning with The Hobbit. It was much less dark than I had expected, although I’m only basing my thoughts on the movies. It was also far less confusing (I get confused while watching the movies), so I was pleasantly surprised. I can’t stop reading books from a teacher’s point of view, which is both a blessing and a curse, I suppose. 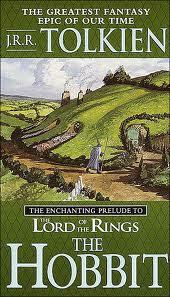 I liked Tolkien’s whimsical writing style, but I did encounter many sentences and words that confused me. Younger students would probably be confused as well. Also, Tolkien uses sentence structure and punctuation in ways I was taught (and will teach) to not use. But it is an engaging (if more sophisticated) adventure story, so on the classroom bookshelf it goes! Let’s be real – everyone knows the dragon is killed at the end. But how he was killed I found a huge letdown. Much less exciting than I had hoped. Then everything was sort of not as interesting thereafter. But most of the book was fast-paced enough to keep my interest.